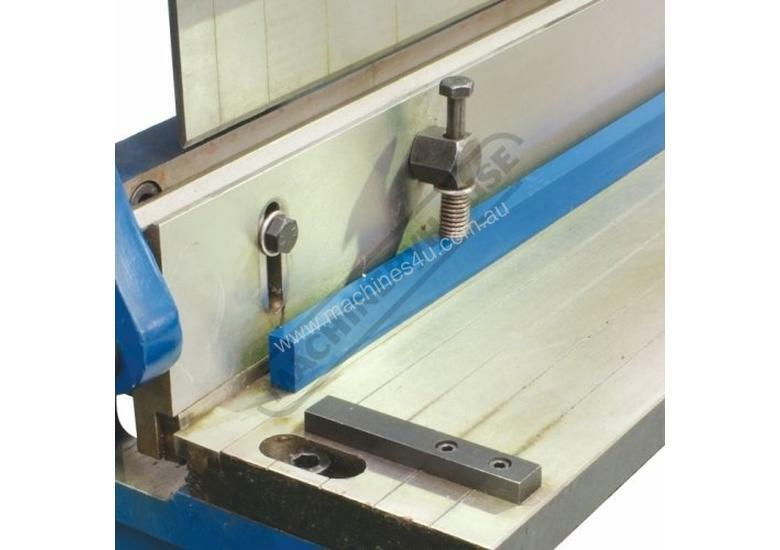 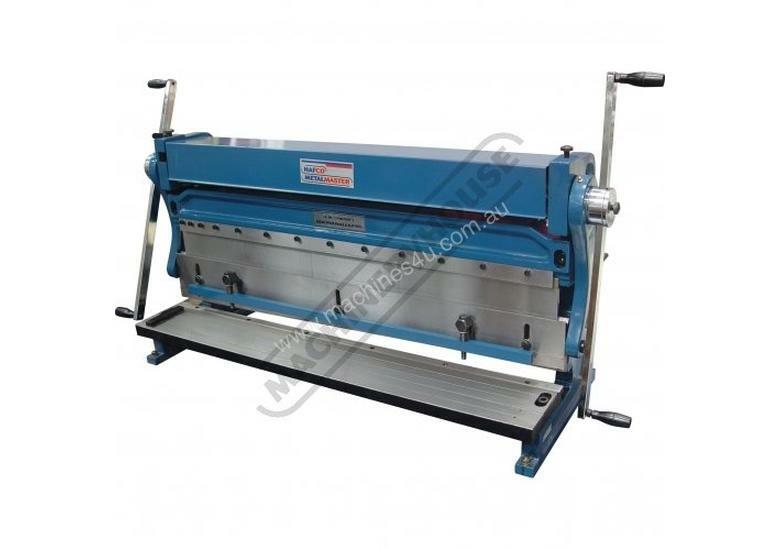 A compact three-function sheet metal working machine which will shear, roll and bend thin sheet material up to a maximum width of 1000mm. 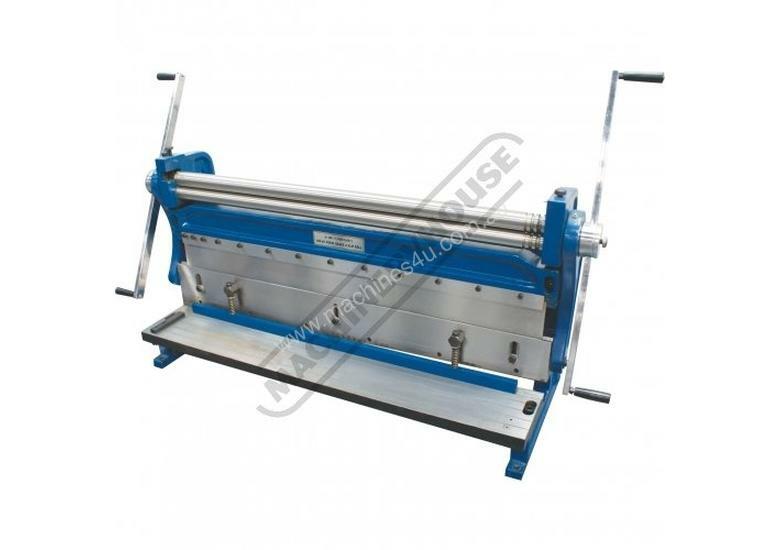 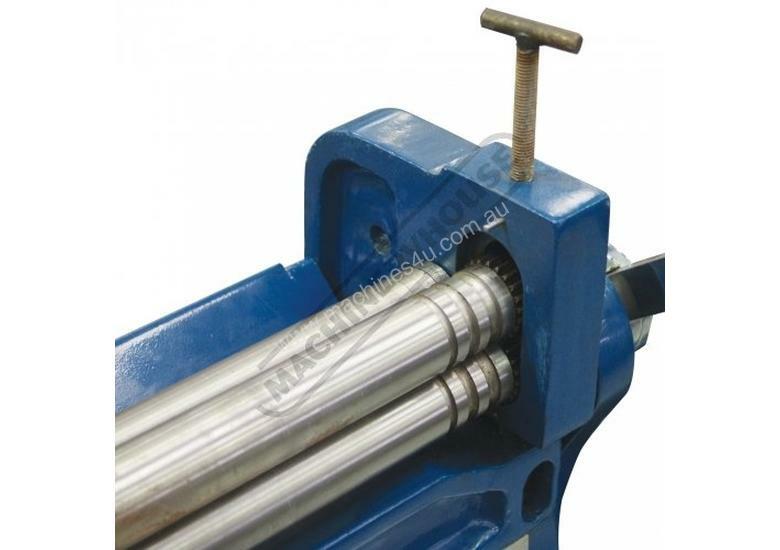 The handle operates all three functions at the same time, but only one function can be used at one time - the rolls incorporates wiring grooves and are rotated whilst the bending and shearing functions operate via an eccentric cam. 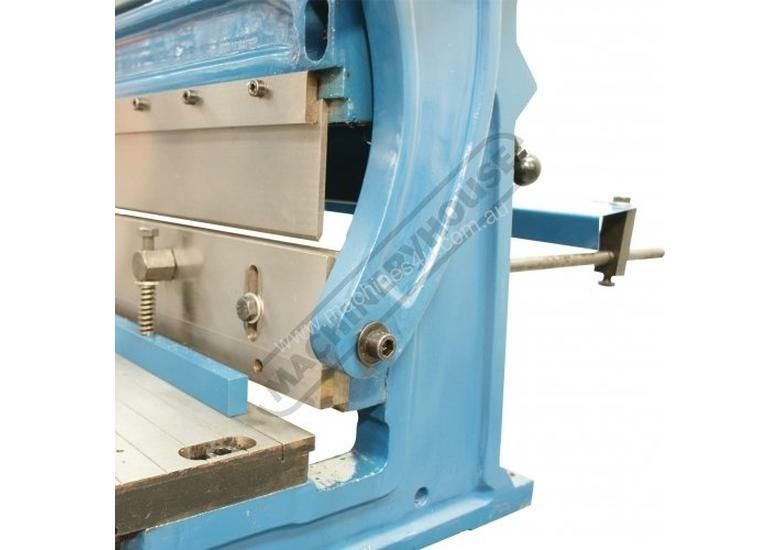 The pressbrake bending dies can be removed in sections to allow for partial bends to be formed and the top roll can be removed completely when forming closed cylinders. 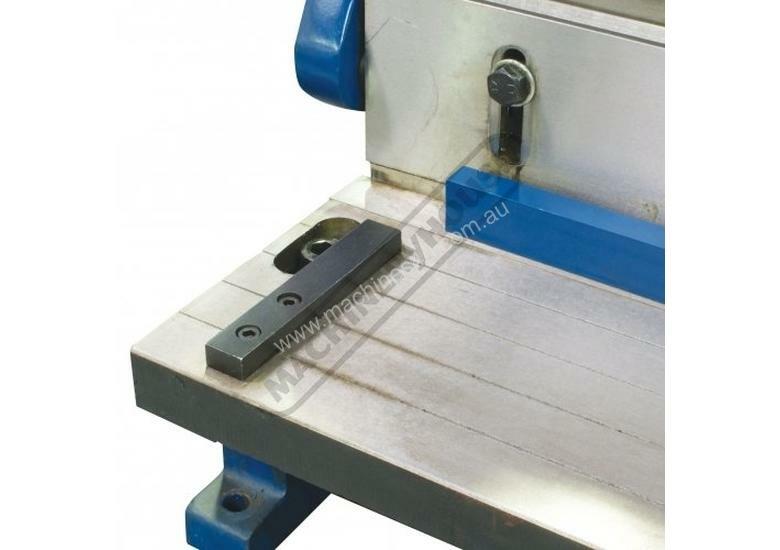 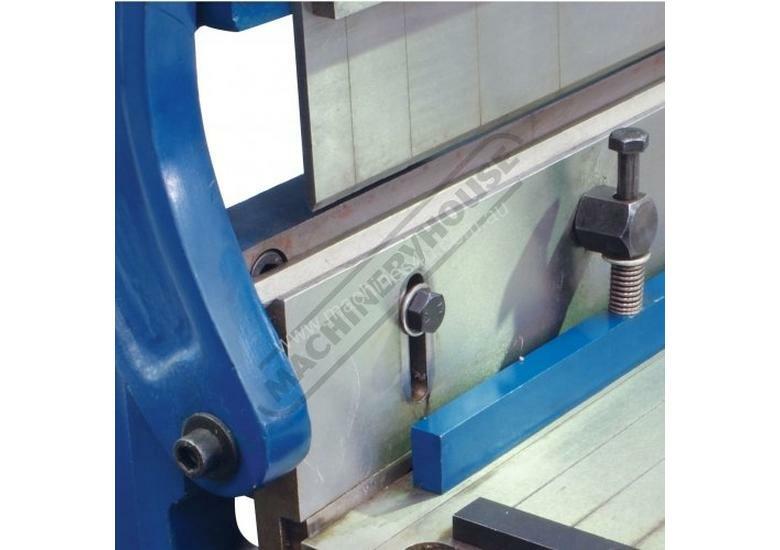 The maximum thickness capacity of 1mm for mild steel & 1.5mm for soft grade aluminium, This compact machine is perfect on small jobs and low production runs for the home engineer's workshop.